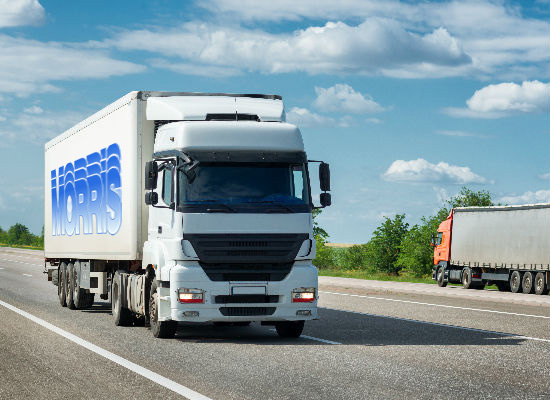 Welcome to ET Morris & Sons Ltd.
With over fifty years’ experience of the safe and efficient transportation of freight throughout the United Kingdom, we have gained the necessary skills and experience to confidently manage the carriage of a broad range of commodities. The company was founded in 1950 by Mr E T Morris and transported agricultural products from local farms to markets in the cities. As the business grew steadily over the years, there was a gradual transition from agricultural haulage to a more specialised transportation of imported cargoes from the local dock at Boston. In 1994 the company established a depot at Hull and so became an “East Coast Haulier”.